Q1:WhatÂ areÂ BestÂ Sense'sÂ mainÂ productsÂ ? cabinet, bathroom cabinet and bedroom wardrobe and other interior joinery. Q2: What is Best Sense's website? Q3:Â WhatÂ kindÂ ofÂ rawÂ materialÂ doesÂ BestÂ SenseÂ use? andÂ theÂ doorÂ panelÂ canÂ beÂ lacquer,Â melamine,Â PVC,Â orÂ HPLÂ ect. 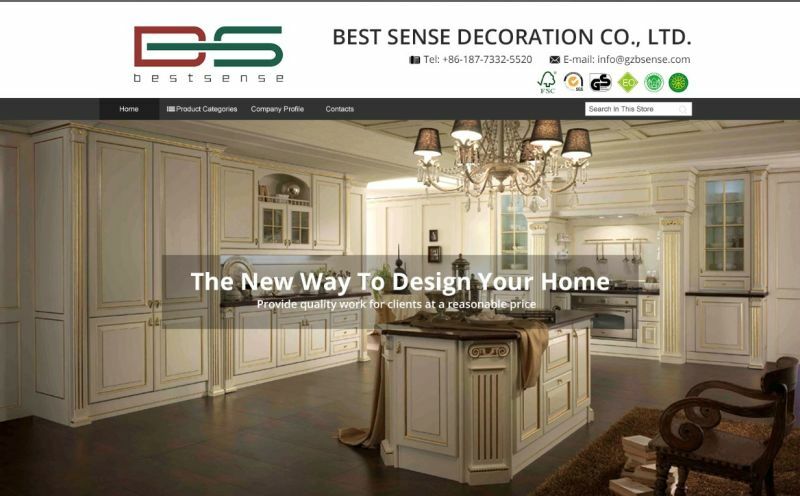 Q4:Â DoesÂ BestÂ SenseÂ sellÂ cabinetsÂ toÂ ChinaÂ domesticÂ marketÂ ? standardÂ woodenÂ cabinetsÂ andÂ AustraliaÂ isÂ ourÂ biggestÂ marketÂ forÂ lacquerÂ cabinets. Q5:WhichÂ brandÂ ofÂ hardwareÂ doesÂ BestÂ SenseÂ use? A5:Â WeÂ normallyÂ useÂ Blum,Â DTCÂ andÂ regularÂ Chinese-madeÂ hardware. Q6:Â What'sÂ BestÂ Sense'sÂ deliveryÂ time? A6:WeÂ willÂ deliverÂ theÂ productsÂ inÂ 35Â daysÂ afterÂ downÂ paymentÂ andÂ confirmationÂ ofÂ allÂ details. Q7:Â CanÂ weÂ haveÂ aÂ freeÂ sample? A7:YesÂ freeÂ sampleÂ isÂ avaliable.Â ClientsÂ justÂ needÂ toÂ payÂ theÂ deliveryÂ costÂ forÂ theÂ sample. Q8:How Can I order from Best Sense ? A8: Please provide us your purcahse list or floor plan of your kitchen so we will quote or design and get back to you with a quotation after confirm all the information. Hardware Blum, Hattich, DTC or local Chinese brand. Delivery time 30-40 days after payment. Payment term T/T, L/C, west union. 1. Free kitchen cabinet layout CAD design. 2. Free kitchen cabinet door/carcase samples to quality check. 3. Comprehensive kitchen cabinet installation guidence.